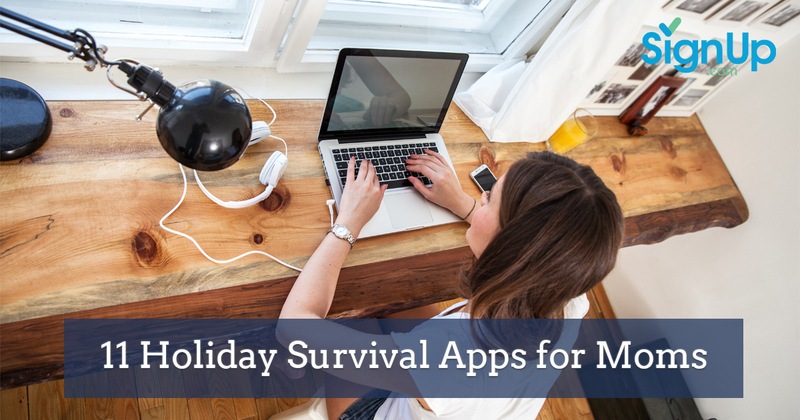 Surviving the Holidays: 11 Apps You Love! If the thought of the added level of stress associated with the holidays makes you want to take to your bed until mid-January, take heart! At SignUp.com, we make it easy to quickly organize everything from class parties to gift giving to to-do lists to social events -- without frustrating ‘reply-all’ email chains and telephone tag! Take a tour today and then explore some of these handy apps (most are free!) to keep your family organized and relaxed during this year’s Holiday season. After all, isn’t that what you really want to remember about this time of year? Quickly organize your family’s calendar with Cozi.com. Make shopping lists, manage to-do lists, keep a family journal and leave reminders all in one place. With its free Cozi iPhone, Android and BlackBerry apps, you can access and manage your Cozi account from anywhere! If you’re trying to manage the exposure to the media for your kids, check the Kids Media App from Common Sense Media. With both parent and child-expert reviews, you ‘ll be able to judge what’s appropriate for your kids to watch, do and download. Search by title and customize a profile to get appropriate recommendations for your kid’s ages and stages. The RetailMeNot app for Android, iPhone and iPad lets you quickly search for offers for the retailers you love. Any member of the community can rate offers and add new codes – bringing sharing a deal to a whole new level. Don’t miss another deal when you shop online or in store for your kids this season! Juggling work, family, afterschool activities AND holiday events can leave even the most organized family frazzled. Care.com makes it easy to find trusted babysitters and nannies, tutors, drivers and even helpers to run to the grocery store or walk the dog during your busiest weeks. When is the class field trip? When is the project due? Is the holiday party this week or next? Get on the same page with your child’s teacher with Remind – the private one-way messaging app that lets teachers keep family members up to date. Tell your teacher about Remind and get plugged in for a peaceful holiday season! Anylist is a fantastic was to create shopping lists and share them among your family. From grocery shopping to gift purchases to holiday menus (and recipes,) everything is in one place and shared among all of the shoppers, thus avoiding both duplicate purchases and running out of essentials last minute. It’s a great way to teach your family to tell you when they’ve used the last of something. This app tracks your trip details and keeps them at your fingertips. Use it to store your confirmation codes, flight numbers, and hotel address. Just forward your itinerary to the app and it assembles an agenda automatically. It can also be used to track travel expenses to keep a good record of everything from hotel stays to airfare purchases. Don’t shy away from treating the class to ice cream-- use Allergy Eats and find the best, allergy-friendly restaurants and include everyone! Read reviews, check nutrition facts, contact restaurants, and submit your own reviews right from the app. Don’t compromise having a healthy, balanced meal just because you’re ordering take-out. This app pinpoints health-conscious dining options in your surrounding area. 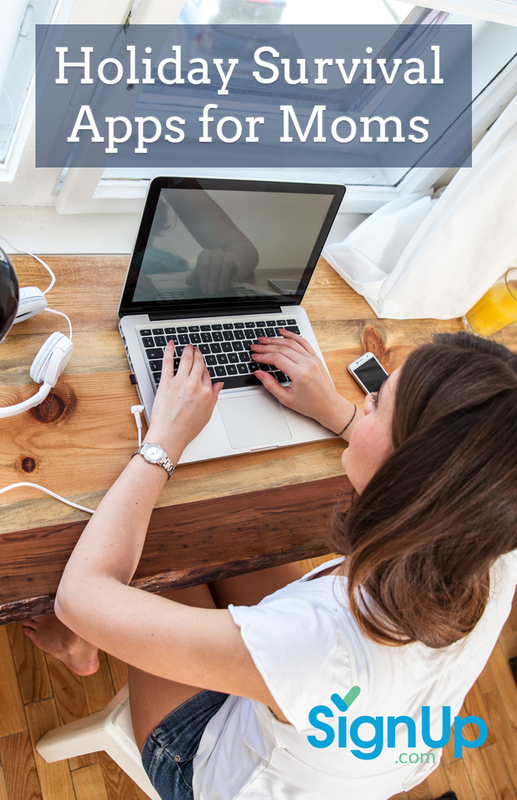 Join tech-savvy moms online for advice, tips, laughs and ideas on topics ranging best new smartphones, time-saving apps, kitchen and home gadgets –and much more! Connecting online with parents just like you could be just what you need during the holidays! Tracking your monthly cycle sometimes gets overlooked as the Holiday madness increases. Avoid any surprises by tracking your menstrual and fertility cycles though the Clue app for Android and iPhone. It’s a revolutionary app that learns from the data you provide it so it can send you reminders about two days before your period is due. Knowing that you or your daughter might be suffering from PMS could help you support each other during this hectic season!